Krav Maga, meaning close combat, is the official hand to hand and self defence system of the Israeli Military. 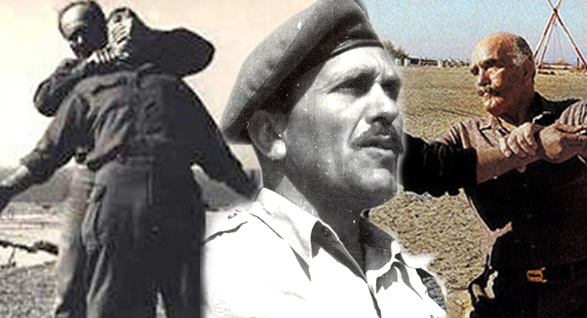 The Krav Maga system was created by Imi Sde Or in the late 1940’s for the Israeli Defence Forces. 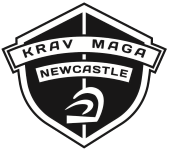 Krav Maga has become the worlds most popular 'Reality Based' self defence system and has been the subjects of documentries, films and numerous magazine articles. In the UK Krav Maga remains relatively obscure to the general public. Imi devised the Krav Maga system based on his experiences as a boxer and wrestler with tough street experience on the back streets of Nazi occupied Europe. Imi had countless street fights as a young Jewish man at the hands of anti Jewish gangs. Fascist gangs roamed the streets looking for Jews to beat and humiliate. During these altercations Imi quickly realised that his background in wrestling or boxing was of little use in the face of this level of violence. Street beatings would be severe resulting in broken bones, serious injury or even death. In the Fascist occupied Europe Jews had no legal rights and no legal protection. The I.D.F approached Imi as they needed a simple, effective, close quarter combat system. The I.D.F needed a system that could be taught to a conscript army in a very short period of time. Imi drew on his martial arts, Military, (Imi was in the Czech Legion of the British Army), and street experience to create his unique programme of training. Imi’s programme of Krav Maga proved so successful that it was taught to all Israeli Defence Forces, and later to over other 500 Military Law Enforcement Units Internationally. Currently Krav Maga is the largest Reality Based Self Defence system in the world. During the 70+ years since it’s inception, Krav Maga remains the longest standing military hand to hand combat system in the world . It’s history and evolution make Krav Maga unique and unprecedented as a self defence method.